Evrensel Newspaper journalist, Metin Göktepe, was detained and beaten to death by police on 8 January 1996. The German Journalists’ Association warns journalists and bloggers against travel to Turkey. The journalist was charged with “membership of an illegal organisation” for articles he wrote. "Turkey is getting further away from a democratic society as politics, law, economy, social life and culture are getting more and more dominated by an authoritarian regime." Journalist Idris Sayılğan's pending hearing was postponed to 25 January. Turkey has come in 3rd for the number of imprisoned journalists. Throughout the globe, at least 80 journalists have been killed in 2018. Turkish regime’s repression against journalists continue. Journalist Adnan Bilen was given a 22 month prison sentence. 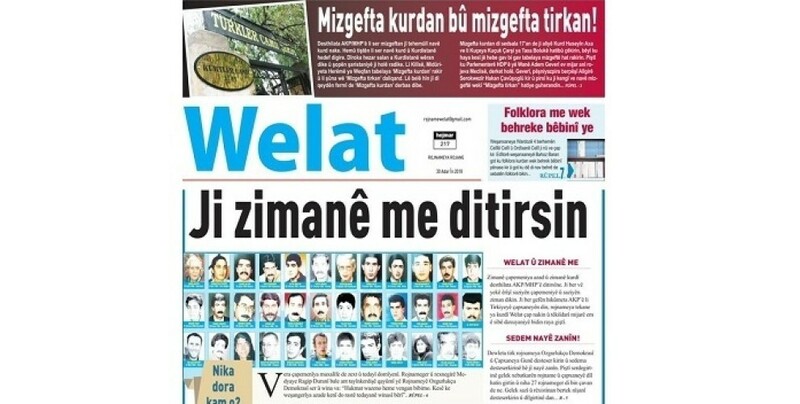 None of the 14 journalists, 5 of whom were on remand, from the Ozgurlukcu Demokrasi newspaper were released in the hearing. Kibriye Evren, on trial in Amed, will remain in prison as well. Report by the Free Journalists Initiative said that there are 173 journalists in Turkish prisons. The free press tradition, which could not be erased nor silenced by censorship, closing orders and oppression, was tried to be destroyed by a new form of attack, said the statement. Journalists are among the main targets of the AKP regime’s political genocide operations. Journalist who protested against Erdogan during his visit to Germany won't be expelled. Mexico accounts for more than a third of journalists from the Americas murdered so far this year. The indictment against Mesopotamia Agency reporter Yasin Kobulan was accepted. in this country, 102 municipalities have been put in the hand of trustees, which is a great embarrassment for a country, said Temelli. Former editor of the trimonthly magazine Demokratik Modernite, Servet Öner, was taken into custody in Istanbul by police. 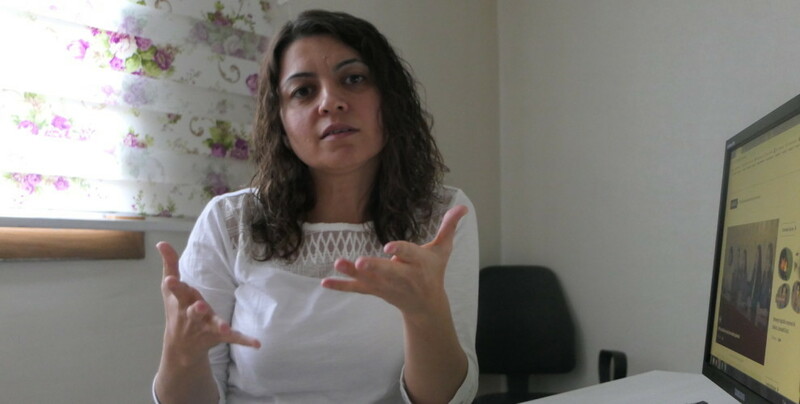 Mezopotamya News Agency journalist, Seda Taşkın, have spent 10 months in prison before being sentenced. The Turkish regime continues its attacks against the free press. Journalist Adnan Bilen has been detained in the Police Directorate he was called to for a deposition. The prosecutor demanded to confirmed the detention of the defendants in the Libertarian Democracy newspaper first hearing.